Tea Time for folks who travel. Tea and honey to go. When Coffee is Not Your Cup of Tea, It's Tea Time. Tea-Time-To-Go offers portable sweet, nutty, delicious tea and honey wherever you go. Stir in the honey lollipop of your choice to sweeten and add a bit of flavor to the tea. Comes with organic red Honeybush tea, tea ball and 4 honey lollipops. When coffee is not your cup of tea, try our tea traveler. Do you know a tea and honey lover who travels a lot for business? Or do you have a tea and honey loving relative who is always on the go? 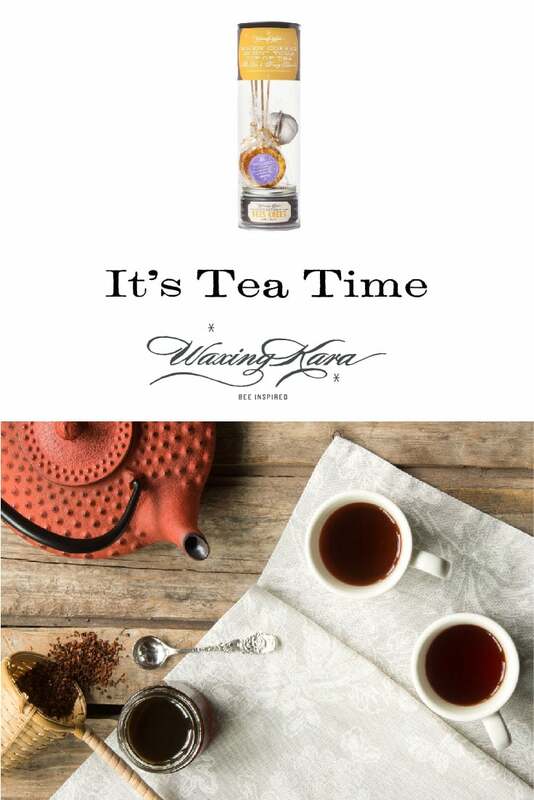 We designed this “Tea Time” to encourage people who are always on the go to take a break, enjoy the ride and make time for tea. 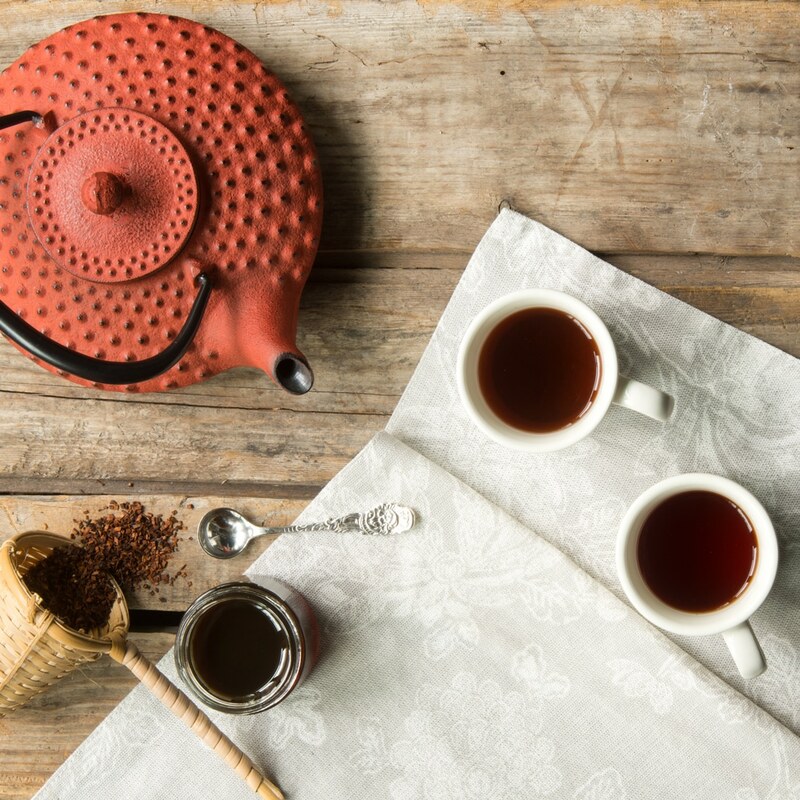 Tea Time features red Honeybush Tea from a flowering shrub in South Africa rich in earthy notes and sweet honey overtones. This organic tea is known to be rich in antioxidants. The lightweight gift tube easily fits into carry-on luggage and features a stainless tea tea ball, pot of caffeine-free, loose-leaf organic tea and 4 different honey lollipops for sweetening. All the tea traveler needs is a mug and hot water. Try taking a teatime break instead of drinking more caffeine because taking breaks boosts our productivity. Fill tea ball with one heaping tablespoon of tea. Pour 8 ounces of hot water over tea ball. Steep for 5-7 minutes. I bought a bunch of these to give as gifts to my friends who do a lot of traveling for work. I loved the idea of giving them something that they could take on the plane that would support relaxation.